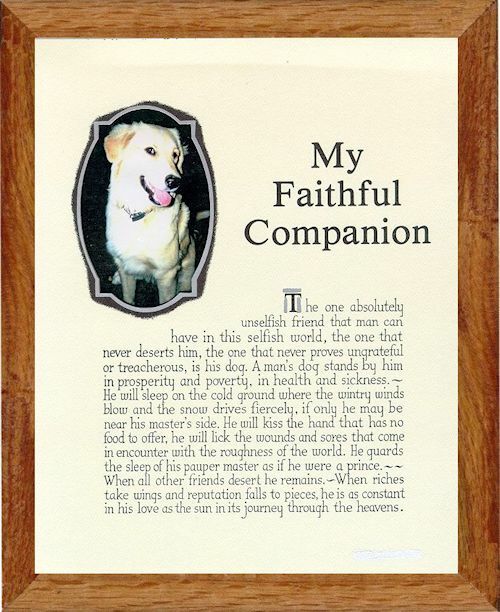 Honor and celebrate your loving pet with a heart-rendering poem about the Love and Faithfulness you shared together. Insert a photo of your precious pet in the cutout provided just as you would with any frame. 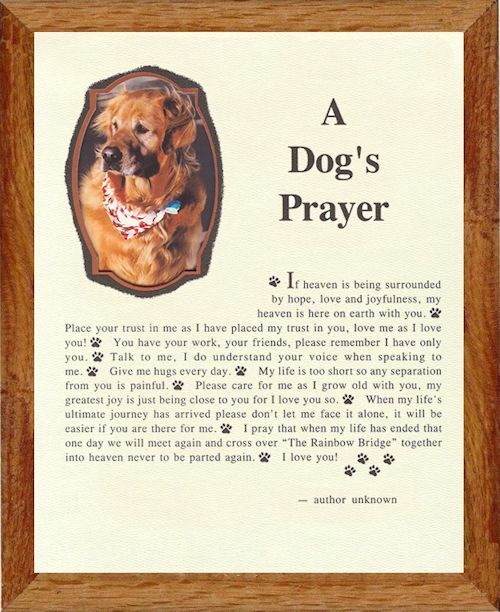 The Rainbow Bridge Poem can be used for any photo you have of your baby, regardless of breed or species. The printing is on quality antique felt text stock. The 2 1/2" x 4" photo cutout is high-lighted with foil providing a dimensional appearance. 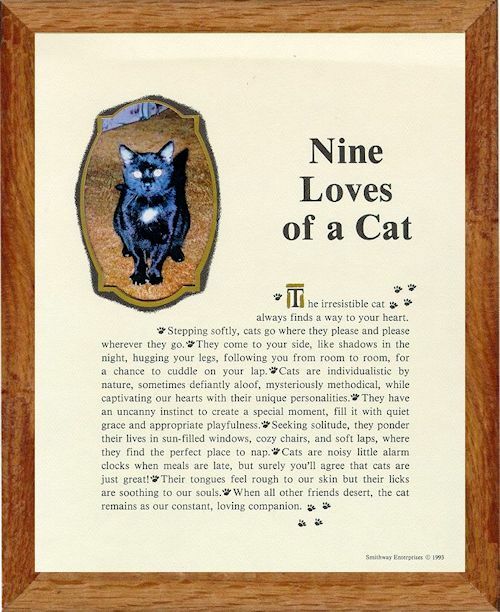 These poems are encased in a quality wood 8"X 10" frame with glass fronts, self standing easel backs, and optional hanging bracket.